Grand Canyon is one of the most stunning places on earth, no words can really describe its breathtaking landscape, you should visit the place yourself to really what it’s really like. 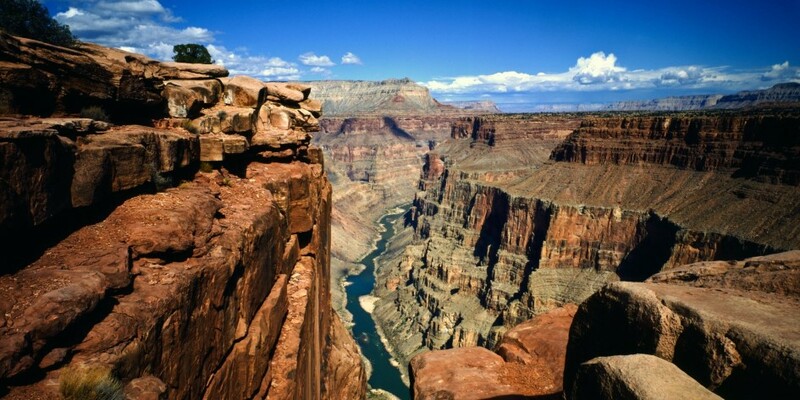 The Grand Canyon National Park is actually a huge chasm that is formed by events of nature for millions of years. The result is a huge canyon with fantastic views as far as your eyes can see. With 277 miles long and up to 18 miles wide, the Grand Canyon can make you feel so small. Visiting the Grand Canyon, you can enjoy its beauty in many ways. Most people will sit near the edge just enjoying the magnificent view. Don’t forget to bring your camera, Grand Canyon offers many fantastic spots for your photo background. If you enjoy going on an adventure trip, around this canyon you can find a lot of great trails that you can walk along. Watching the sunrise or sunset is another way to enjoy the beauty of this destination, especially if you’re here with your partner. One of the most interesting Grand Canyon tourist attractions is its wildlife. You can find various animal species all over the Grand Canyon, such as bighorn ewe, river otters, coyotes, skunks, bobcats, California condor, red squirrels, gray fox and many more. It’s always fun seeing animals in their natural habitats, but you should always be very careful when meeting animals in the wild. Never go up to any animal if you’re not an expert including those that are not carnivores. If you want to take photographs of them, it’s best to do it while you’re inside your car. You also cannot feed them because it’s illegal and you can be fined. If in case you’re traveling with your pets, then it’s best to keep them on a leash. Besides sightseeing from the visitors’ area with a fence, there are various exciting activities you can do in this beautiful destination. 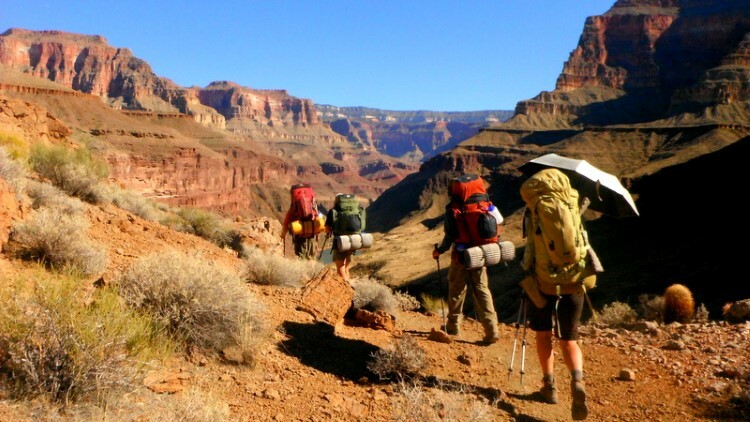 There are Grand Canyon hiking tours that will take you on an adventure while enjoying the beauty of the canyon up close. There are many beautiful trails available here, but it’s recommended that you use a guide if you want to walk on these trails to be safe. Not only walking trails, there are also a lot of bike trails, so you can bring your mountain bike when you visit the Grand Canyon. Mule riding is another exciting activity you can do in the Grand Canyon, this is among the most popular activities today in the Grand Canyon, you even need to make a reservation far in advance, otherwise you won’t be able to get any mule to ride. In some places there are also horses available for rent. The Grand Canyon offers a magnificent view from the air, fortunately there helicopter and plane tours available in the area. You may have to make a reservation in advance because the demand for these tours is really high. If you cannot book the sky trip or you don’t really like flying, don’t worry, you can take an exciting train ride to enjoy the beauty of the canyon from the ground. Want something different? Why not take the Grand Canyon rafting trips? The Colorado River offers an exciting challenge for even the most experienced rafters. 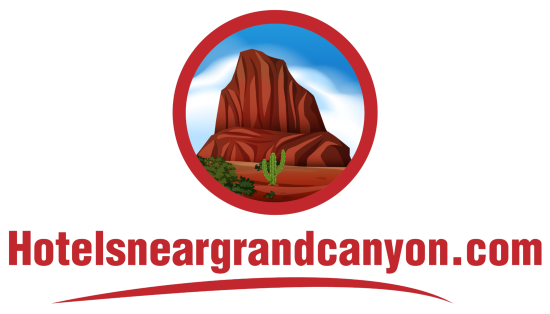 Besides regular daily attractions you can find in the Grand Canyon, like all kinds of tours, adventures, and sightseeing, there also some interesting special events in certain times. For example in the summer, you can often find theatrical productions take place around the canyon and there are also art exhibitions that usually take place on the rim. 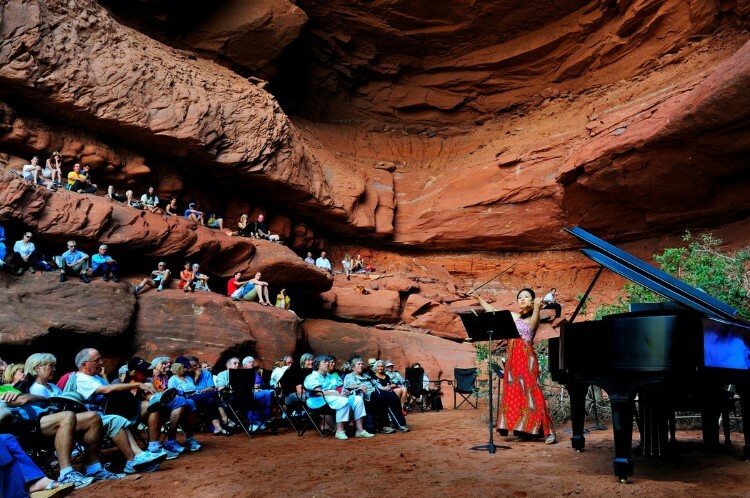 In September you can see the famous Grand Canyon Chamber Music Festival. The Grand Canyon has various area exhibits and visitors’ centers available. The Kolb Studio is one of the best art exhibits you can find in the Grand Canyon that offers excellent art exhibits for free. It’s situated in a great building and it’s open every day. 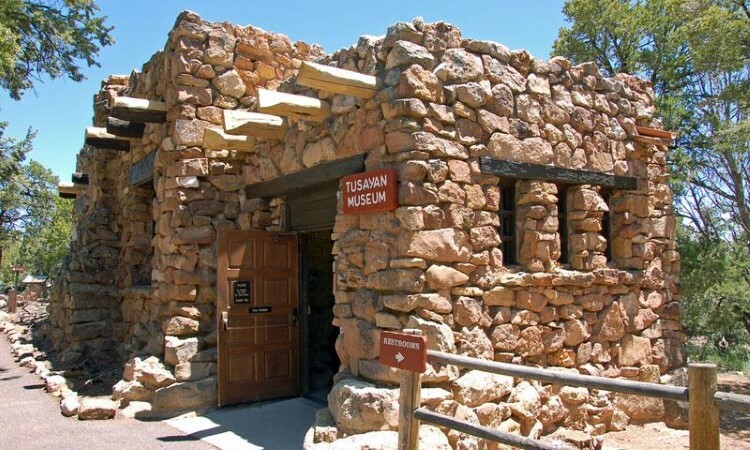 Another interesting place where you can see some interesting arts and historical artifacts is the Tusayan Museum. This museum displays a lot of information and artifacts from the Pueblo Indians that used to live in the area. It’s open every day all year round with free admission. There are two main visitors’ centers, the South Rim Center that’s open every day in regular business hours, and the Canyon View Information Plaza that’s situated near the Canyon Rim.